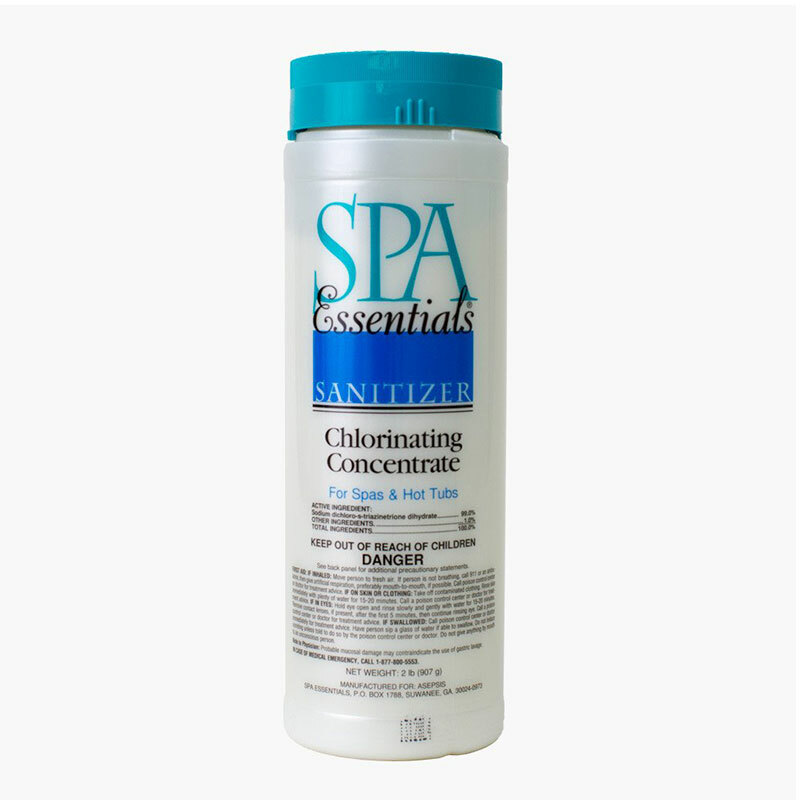 Quick-dissolving granular stabilized chlorinator to sanitize and an oxidize spa water. Granular stabilized chlorinator is fast-acting and quick-dissolving, acting as a sanitizer and an oxidizer– no need for two products. It may be added directly to spa without the need for predissolving.